In the New York Public Library, I found a cryptogram from 1925. 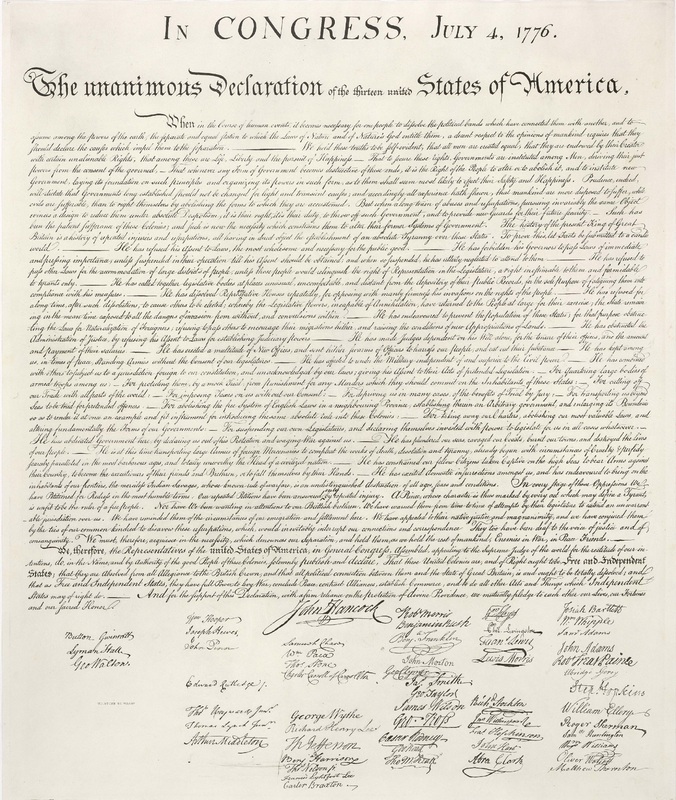 The cleartext could be the Declaration of Independence. I wonder who created this document and why. The Riverbanks Laboratories in Geneva, Illinois, played an important role in crypto history. George Fabyan, a wealthy business man, purchased the Riverbanks estate in 1908 and established a private research facility there. He hired a number of scientists to do research in different fields, including acoustics and genetics. As a supporter of the so-called Baconian theory, which states that Shakespeare’s plays were actually written by Francis Bacon, Fabyan also founded a research group that studied alleged codes in Shakespeare’s works. This group was led by Elizabeth Wells Gallup, who was considered a leading Shakespeare code expert. In fact, while working at the Riverbanks Labs, Wells Gallup proved quite successful in finding alleged code messages in Shakespeare’s plays. 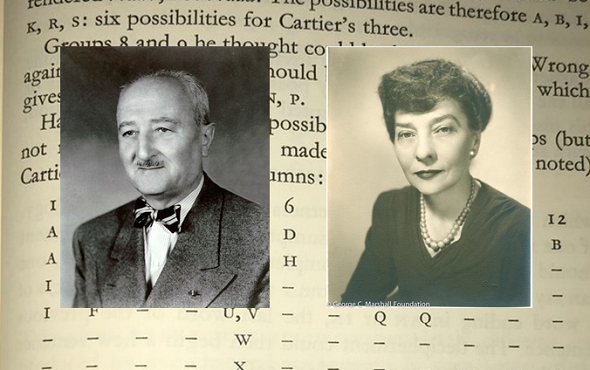 Among Wells Gallup’s assistents were two young scientists named William Friedman and Elizabeth Smith. The two married in 1917. The Friedman’s soon realized that the Shakespeare codes found at the Riverbanks Labs only existed in the imagination of Wells Gallup. At least, the work in the Shakespeare group got William and Elizebeth involved in cryptology. Both soon became skilled codebreakers and cryptology pioneers with their remarkable careers spanning over several decades. If you want to know more about the world’s most famous crypto couple, you should read Jason Fagone’s book The Woman who Smashed Codes. Much of the crypto-related material created at the Riverbanks Labs is now available in the New York Public Library. Last week, I had the chance to go there and look at it. The New York Public Library keeps the Riverbanks documents in some two dozen boxes, three of which I could inspect during my stay. The first two proved extremely boring, containing thousands of pages hand-written by Elizabeth Wells Gallup. Ms Well-Gallup apparently was even more productive in finding non-existent hidden messages in Shakespeare’s works than I thought. The third box was a lot more interesting. It contained books, newspaper clippings, letters and other documents about cryptography. This material was collected by the Friedman’s or written by themselves during their Riverbanks years. Establishing this collection represented the Friedman’s first step in entering the world of cryptology. The document is signed by a certain William H. Vosiklin (?) and dated 1925. 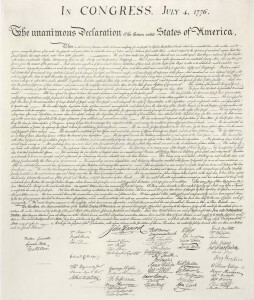 As it seems, the encrypted text is the US Declaration of Independence. Now, I ask myself why anybody would create such a cryptogram. 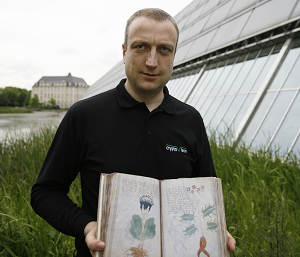 Perhaps, this Mr. Vosiklin wanted to demonstrate a cipher he had invented. Did he really believe that the strange alphabet he used was of any value? As the cleartext is revealed, I don’t think that this cryptogram was meant as a challenge. If a reader can find out more about the background of this cryptogram, please let me know. Es handelt sich um ein Runenalphabet (ob ein bekanntes oder modifiziertes kann ich so auf Anhieb nicht sagen) und die D.O.I. ist vielleicht der Schlüssel für für die geheime Korrespondenz einer Geheimgesellschaft. Das wäre jedenfalls nicht ungewöhnlich und Runen waren und sind in esoterischen (und rechten) Kreisen immer stets beliebt. Looks somewhat like the Basingstoke cipher. I thought the Friedman’s had left Riverbank by World War 1, for the War Department, certainly by 1920 or 1921 when he was chief cryptanalyst for the War Dept, so I don’t know if calling this a box of “crypto-related material created at the Riverbanks Labs” is entirely accurate if this document is dated 1925? You’re absolutely right. The Friedman’s Riverbanks years ended before 1925, so there must be something wrong here. The material in the NYPL is named “Bacon Collection”. Perhaps, this encrypted message was added to the collection by other members of the Riverbanks Shakespeare team, after the Friedman’s had left. 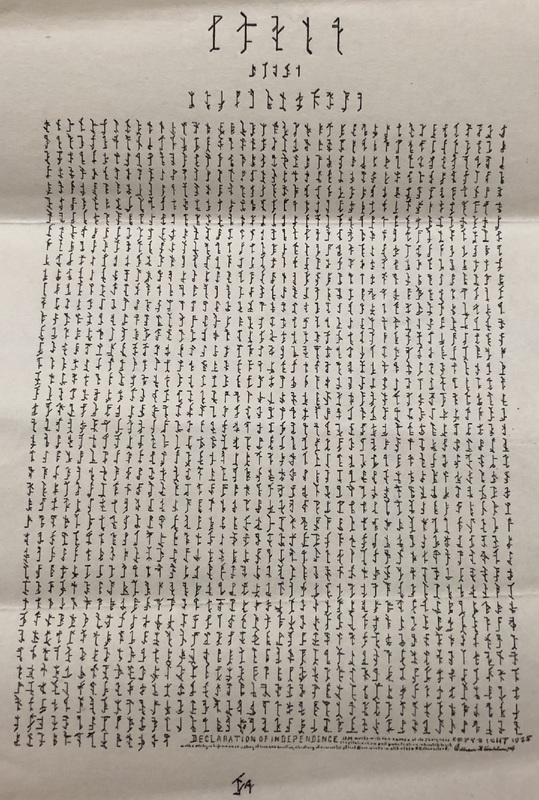 The number of symbols is around 39×41, and this is similar to the number of words stated in the signature. So one symbol should be one word. I thought “runes” code letters. Kruh published several Cryptologia articles on the Riverbank Labs and probably came across Conklin’s cipher in the “Bacon cipher collection” in the NYPL, just as you did. 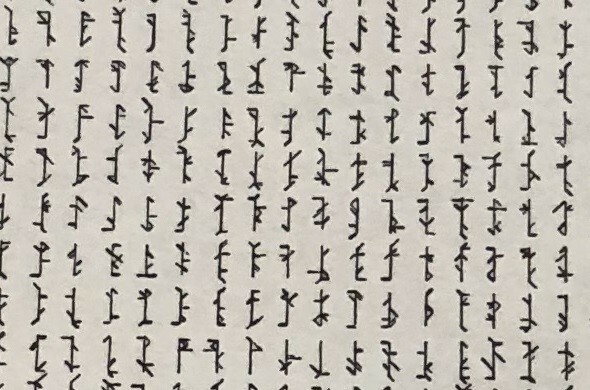 Since Kruh’s collection was donated to the National Cryptologic Museum in Fort Meade, maybe you can ask them for further information on Conklin’s cipher. Moreover, the Library of Congress (George Fabyan Collection) has W. H. Conklin’s “The code word”. As George Fabyan was the owner of the Riverbank Labs, Conklin might have been a coworker in the cryptologic department. >ask them for further information on Conklin’s cipher. I was in the National Cryptologic Museum a week ago. One of the things I learned was that the Kruh collection is currently catalogued. When I go there next time, it might be possible to take a look at the material. When has the collection been donated? Who had it before (I think this was Craig Bauer but not sure)?. Anyway those are good news. BTW who is replacing Rene Stein for inquiries etc…? >who is replacing Rene Stein for inquiries etc…? Rene’s successor is Rob Simpson.